Whether it was Water mitigation, Mold remediation, Asbestos Abatement, Fire Damage Services, or Radon Mitigation, we were there for you in 2015! We thank our customers for trusting us to help over the past year and we vow to continue to be a trusted neighbor in the years to come. We would like to thank everyone for a great 2015, we appreciate the opportunity to service you and your customers, and look forward to doing so again in 2016! 2015 sure was a year to remember too! From the release of our My Claim File exclusive (and free!) product to help our customers organize the claims process, to our brand new website to make finding the information your looking for easier (Even on mobile! ), we've certainly been busy! 2015 also saw a complete overhaul to our existing CE Courses for Insurance Agents and a brand new one that received a tremendous amount of interest! We even launched our Like Local program, allowing nonprofits and local public service organizations to easily raise money for their causes and operations! In the past year we have worked hard to continue to set ourselves apart from "cleaning companies" attempting to perform this work and focusing on our specialized services. As a True Indoor Environmental Expert, Disaster Blaster remains the only company able to handle the breadth of services that we provide. From Fire Damage Services, Water Damage Mitigation, and Mold Remediation to highly regulated industries such as Asbestos Abatement and Radon Mitigation and everything in between, we are truly able to handle it all, and will continue to distance ourselves in the coming year. 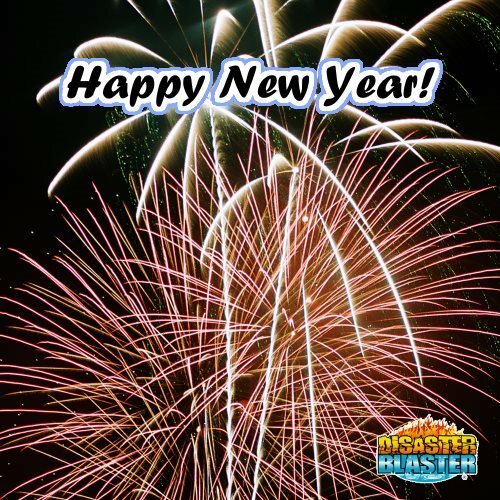 2015, as with prior years, saw some copycats, but there's only one Disaster Blaster! Thanks Again everyone! Should you or someone you know have a need for any of our services, please don't hesitate to Contact Our Offices! *One discount per person and location. Not valid for mold testing or any other services Disaster Blaster does not directly provide.